Throughout the entire disastrous Brexit process, the interests of Scotland haven’t even been an afterthought for the UK Government and the Conservative Party. The overwhelming vote to remain in the EU, repeated votes in the Scottish Parliament and the compromise option of Single Market and Customs Union membership, put forward by the Scottish Government, have all been ignored. In being shut out of the process, we are not, however, alone. Right from the very start, when the decision to hold an EU referendum was made, this Brexit project has been all about seeking – and failing – to placate the feuding factions of the Tory party. Nothing else has mattered, certainly not the jobs or livelihoods of people in Scotland or the UK. Over the past two-and-a-half years since the Brexit referendum, meetings in Downing Street and phone calls with the Prime Minister have been intensely frustrating. I know the former Welsh First Minister, Carwyn Jones, shared that frustration as Theresa May often seemed to be rehearsing prepared lines during our Joint Ministerial Committee meetings, instead of engaging with alternative views. My telephone call with the Prime Minister following her crushing defeat on Tuesday does not fill me with optimism. There is no indication, despite her assertion that she intends to listen to other parties, that she is going to drop her “red lines” that are responsible for the dire situation both Scotland and the UK find themselves in today. Nor is there any recognition at all that two of UK’s four nations voted to remain. Indeed, it is now impossible to reconcile the Prime Minister’s attitude towards Scotland with her previous assertion that the UK should be an equal partnership of nations. Nicola Sturgeon meeting SNP MPs in Westminster following the humiliating defeat of Theresa May’s Brexit deal. I, and the new First Minister of Wales, Mark Drakeford, have asked for an urgent meeting of the Joint Ministerial Committee. But, more importantly, there needs to be a fundamental re-think of the way the UK Government does business. Rather than being in the lecturing business, the Prime Minister needs to be in the listening business. Instead of seeking to bulldoze through unacceptable proposals, she has to take on board the views of others. There is no prospect whatsoever of the Prime Minister’s current deal being passed at the second attempt. That deal would make us poorer, it would drag Scotland out of not just the EU but the Customs Union and Single Market (which is eight times the size of the UK alone) hitting jobs and living standards. It would put us at a competitive disadvantage compared with Northern Ireland and it would almost certainly lead to a fall in Scotland’s working population because of the Prime Minister’s anti-immigration obsession. It would mean years of further damaging uncertainty as a vague political declaration will only provide more fuel for the internal disagreements within the Government. Therefore, a proper plan is needed. In the discussions the Prime Minister says she wants to have with other parties, and the devolved governments, we will be making it clear what we believe needs to happen. The first step that must be taken is to rule out No Deal. This outcome, so beloved of the hard Brexiteers in the Tory party, must be taken off the table. Disgracefully, the threat of No Deal has been used by the Prime Minister in an attempt to force MPs to accept her deal. That threat must now be removed. The second step is to stop the clock on Brexit. The Prime Minister still seems unable to face up the urgency of the situation with the UK due to leave the EU in less than three months’ time. So Theresa May must immediately write to the EU asking to extend the Article 50 process and take the steps provided for in the EU Withdrawal Act to remove 29 March as the date for the UK’s exit. An extension would require the unanimous support of the EU27, which means there is no more time to waste. And thirdly, now that the Prime Minister has limped through a vote of no confidence, with a general election unlikely, legislation must also be brought forward to hold a second referendum on EU membership with the option for remain on the ballot paper. 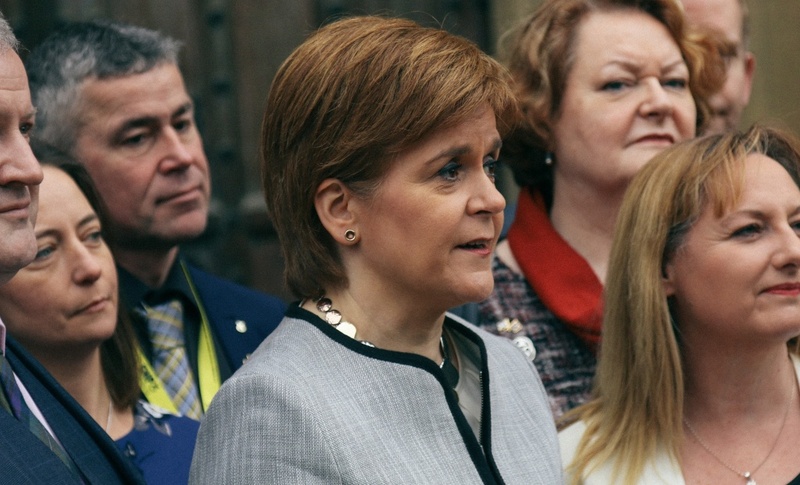 A second referendum would not guarantee that Scotland’s wishes will prevail, although SNP members would seek to amend any legislation with a “four-nation lock” so that the UK could only leave with the agreement of all the UK’s nations. The only way to ensure that democratic guarantee, of course, is for Scotland to be an independent country. One of the most instructive and revealing aspects of the period since the Brexit vote is the contrast between the way Ireland has been treated by the EU and the contempt with which Scotland has treated by the Westminster Government. Ireland has received solidarity and support from all its EU partners, while our national interests are ignored, the powers of the Scottish Parliament are eroded and we are left at the mercy of an increasingly dysfunctional and chaotic Westminster system. Indeed, the costs to Scotland of not being independent have never been clearer. But whatever Scotland’s constitutional future, it will be in all our interests for the UK to have the closest possible relationship with Europe, and it is time to put the question of EU membership to the people again.